Fr. 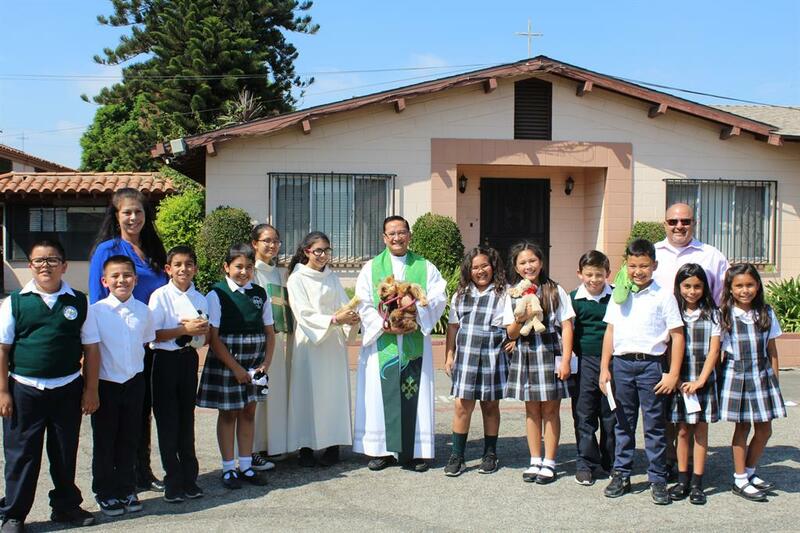 Larry presided over the annual Blessing of the Animals ceremony Friday at St. Marianne School, an an annual school tradition.The event got underway at 12 p.m. in the quad in front of the hall. Many parishioners, and parents brought their dogs, cats, turtles, lizards, birds, fish, and in the past we've even seen a horse.The ritual dates to the 4th century, when saints began to bless animals for the services, comfort and companionship they provide humans. Friday's blessing lasted about half an hour.